MySQL any way to import a huge (32 GB) sql dump faster? 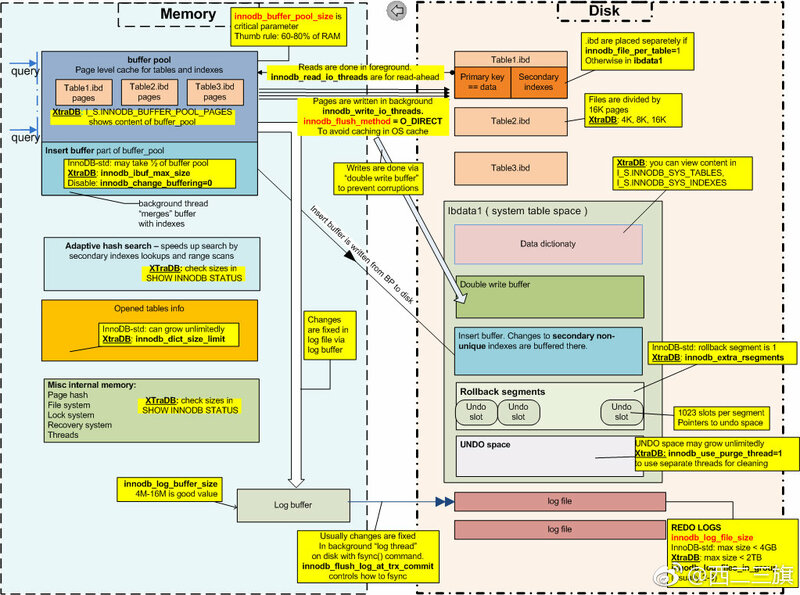 innodb_write_io_threads : Service Write Operations to .ibd files. According to MySQL Documentation on Configuring the Number of Background InnoDB I/O Threads, each thread can handle up to 256 pending I/O requests. Default for MySQL is 4, 8 for Percona Server. Max is 64. In the event of a crash, both 0 and 2 can lose once second of data. The tradeoff is that both 0 and 2 increase write performance. I choose 0 over 2 because 0 flushes the InnoDB Log Buffer to the Transaction Logs (ib_logfile0, ib_logfile1) once per second, with or without a commit. Setting 2 flushes the InnoDB Log Buffer only on commit. There are other advantages to setting 0 mentioned by @jynus, a former Percona instructor. SIDE NOTE : You should upgrade to 5.6.21 for latest security patches. Update: Original post asked if he could dump from the database by query. What he asked and what he meant were different. He really wanted to just mysqldump all tables. mysqldump --tables myTable --where="id < 1000"
mysqldump --databases X --tables Y --where="1 limit 1000000"